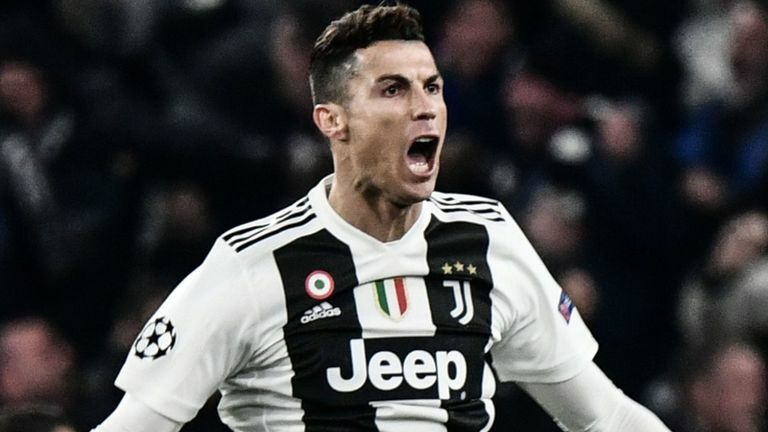 Cristiano Ronaldo has been charged by UEFA for his celebration in Juventus' last-16 Champions League game against Atletico Madrid. The 34-year-old fired his side into the quarter-finals with a hat-trick in the second leg in Turin, overturning Atletico's 2-0 victory from the first leg. Ronaldo followed one of his goals by copying Diego Simeone's 'crotch-grabbing' celebration from the first leg, for which the latter was given a £17,000 fine. Simeone said his gesture showed he had the courage to make tough selection decisions. He apologised two days later. Juventus forward Ronaldo has been charged with improper conduct. The UEFA Control, Ethics and Disciplinary Body will deal with this case at its next meeting on March 21. Juventus will play Ajax in the first leg of their Champions League quarter-final in Amsterdam on April 10.